Our New York Fashion Week SS’19 showcased fashion, art, and music in the beautiful Manhattan Center. We kicked off Fashion Week with an opening reception at Bice Cucina in Midtown. Over the next three days, designers presented their spring and summer collections on the runway. David Tupaz’s collection gave us bold prints with daring accessories while Marco Marco show was all about body con pieces. Throughout New York Fashion Week, Chloe Maggs, one of Australia’s most sought after artists, rocked the runway stage. New York Fashion Week wrapped up with a live art presentation by Pol Kurucz and Derek Gores. Raul Penarandas is a New York designer who designs luxury women’s wear with an aesthetic of sophistication and the right amount of edge. 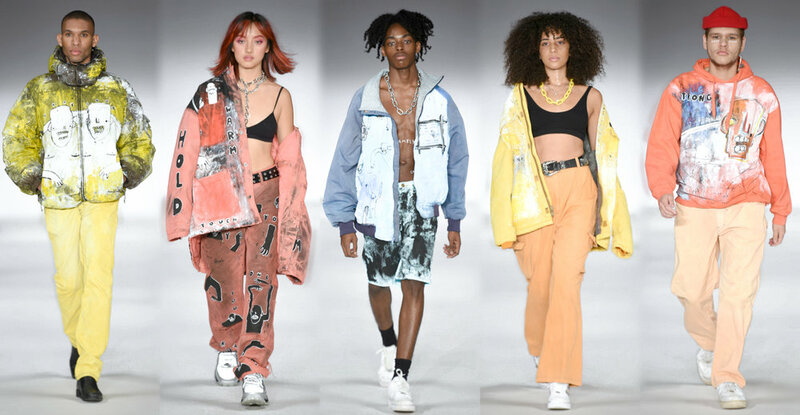 Raul Penaranda’s New York Fashion Week SS’19 show featured sparkly dresses, bold print skirts, and stunning swimwear. Check out a recap of his show below.